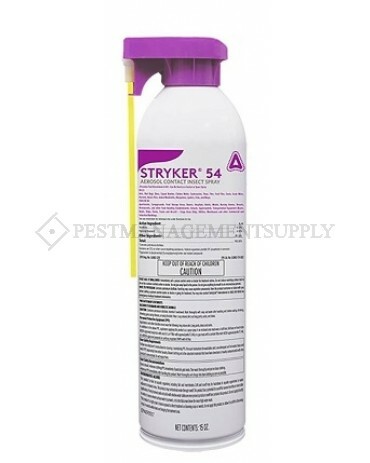 Stryker 54 Aerosol Contact Insect Spray includes an injector thatflushes insects out of cracks and crevices. 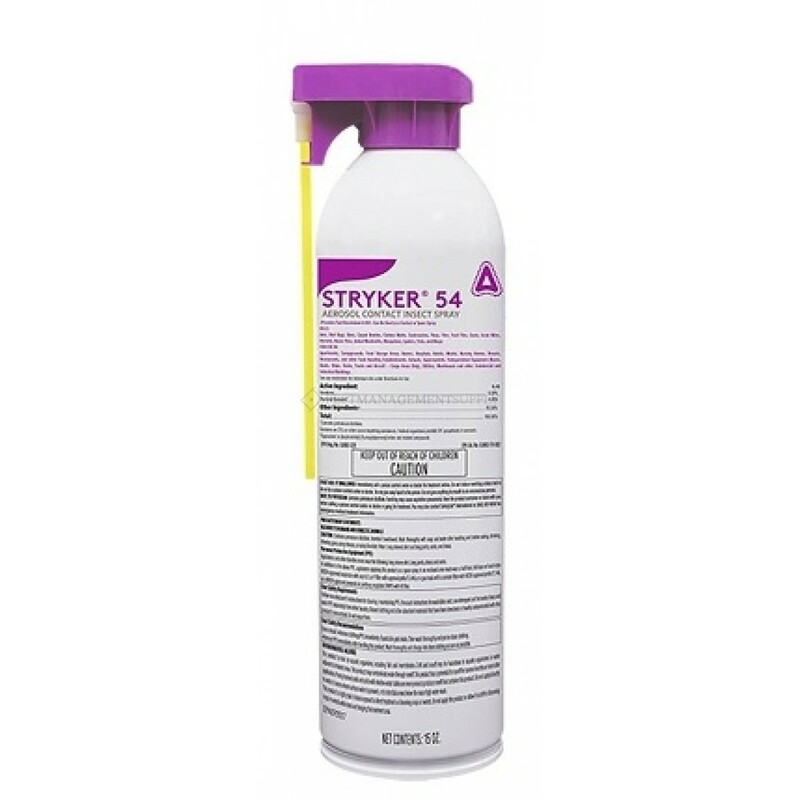 Stryker 54 is useful asan inspection and identification tool. Contains 0.5% Pyrethrins and4% Piperonyl Butoxide. Available in 15 ounce can. Target Pests Ants bed bugs moths flies cockroaches mosquitos spiders. Please refer to the product label for a complete listing of insects included.